“A child had just received new braces and was refusing to walk in them. 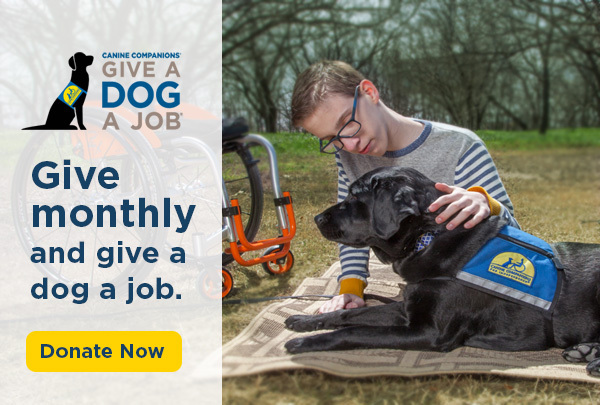 All I had to say was, ‘let’s get Igor’s leash and take him outside,’ and Igor and the child were walking and eventually running outside together,” recalls Teresa, a physical therapist at Children’s TherAplay Foundation Inc. 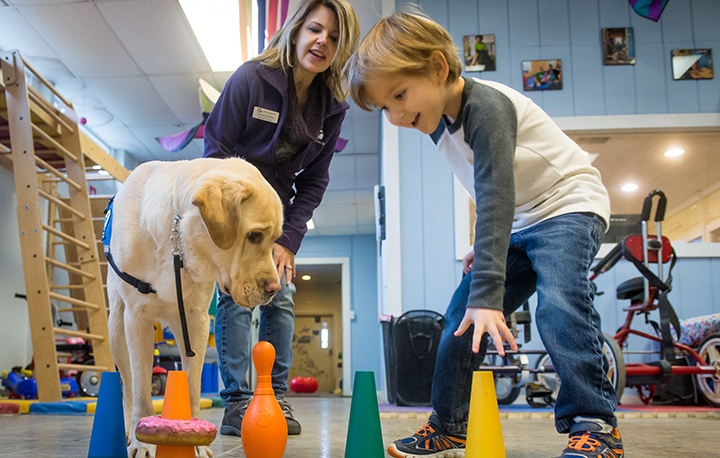 Facility Dog Igor III and Teresa work with over 500 children from the ages of 18 months to 13 years old every month. During physical therapy sessions Igor will join the children in running relays and obstacle courses. He tugs them on scooter boards to help them with balance and core strength and helps them practice dressing by tugging off socks and jacket sleeves.